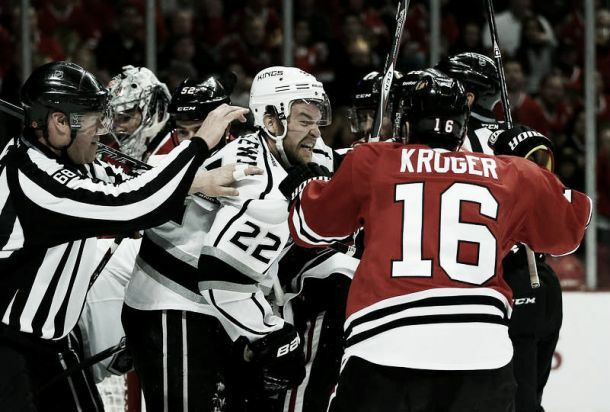 Another Western conference final in the NHL playoffs, and once again the Los Angeles Kings are trying to keep up with the much better Chicago Blackhawks. They couldn’t in game 1, losing 3-1, finding it very difficult to beat Corey Crawford or stop Jonathan Toews when it mattered the most. Crawford had 25 saves (96.2%, leads the NHL with a 1.90 goals-against average and a .933 save percentage in the playoffs.) and Toews scored a huge goal in the third period to clinch the win for the Blackhawks, who were really pinned down in the second period (17 shots from the Kings), but Duncan Keith scored with a little bit of luck in the second period to provide a tie breaker, as his shots flicked off the stick of Trevor Lewis, bouncing past Quick. 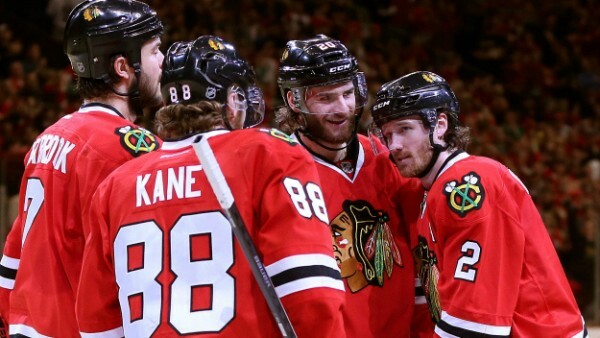 The Blackhawks took the lead in the first period through Brandon Saad, scoring on the power play. He also had an assist in Keith’s goal, as the Blackhawks kept a perfect home record in the postseason so far, attempting to win a third Stanley Cup in four years and become the first team to repeat as champions since the Detroit Red Wings in 1997 & 1998. The Kings kept piling the pressure on in the third period, but a 3-on-1 break for the Blackhawks with Toews, Marian Hoosa and Johnny Oduya led to a goal that pretty much broke the Kings. Toews scored his sixth goal of the postseason by one-shooting a pass from Oduya with 16:10 on the clock during the third period, and the Kings’ pressure diminished from that moment on. It was interesting to see the Kings so dominant in the second period, thinking that their seven game series against the Ducks would have meant being a bit tired after also travelling to Chicago. However, this team is made of stern stuff hence all their success over the last few years, and it’s going to take more than what the Blackhawks gave in game 1 to deny them a shot at reaching the finals. I think we can do a better of getting in front of the net and make it harder on their goalie because we had some pretty good shots, but nobody was hanging around, so he was able to see everything. We had a chance. We shot ourselves in the foot a bit on their goals, and give them credit, they’re an opportunistic team. But we made a couple of mistakes and it ended up in our net.